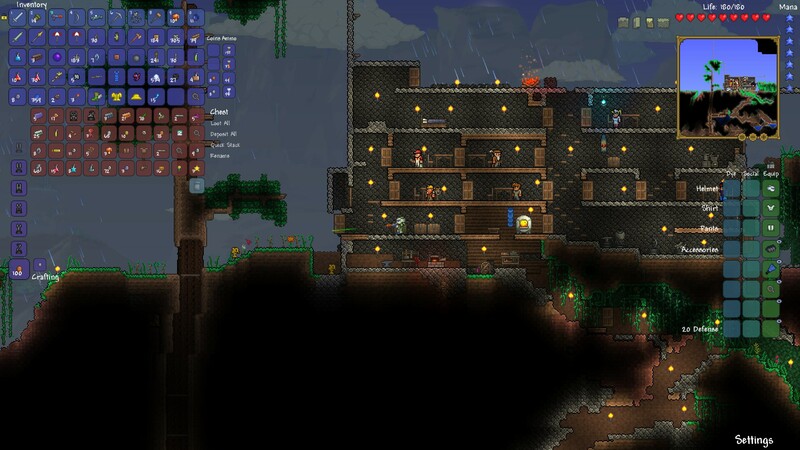 Terraria: I have a space gun and it’s mine all mine! 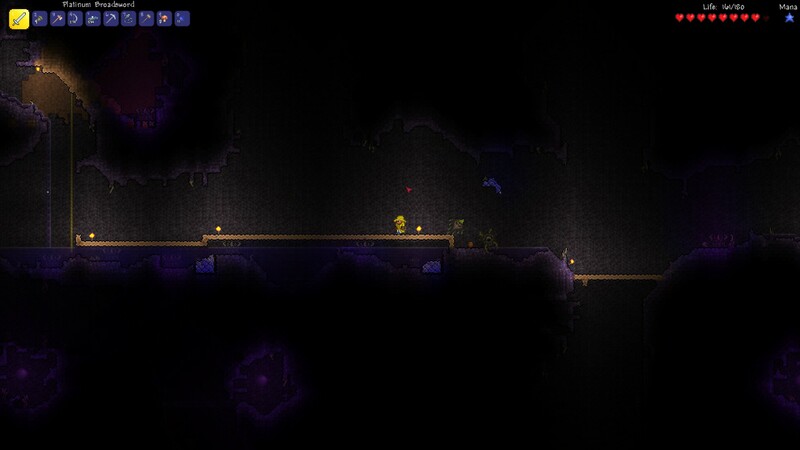 So I’ve finally defeated the Eye of Cthulu in Terraria and I’m now starting to be a lot stronger. 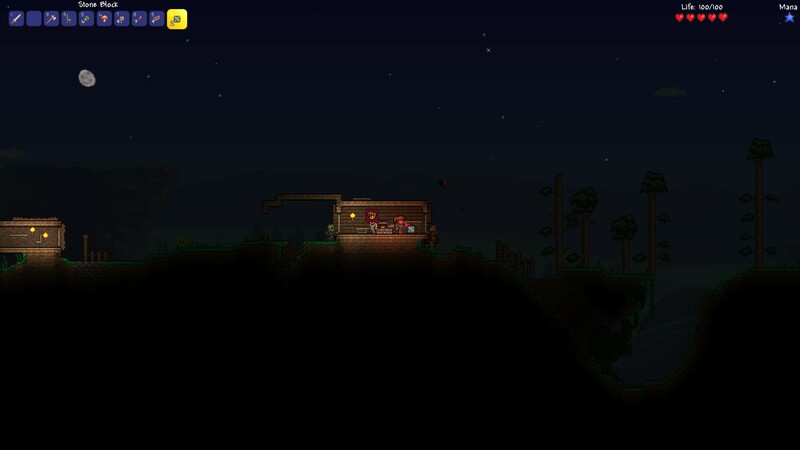 I also used explosives to destroy a couple of shadow orbs and caused a meteor to crash (which I mined). So I now have a space gun and better armor. Now the next step will be trying to kill the eater of worlds. I have a space gun! Crossing the corruption made easy. 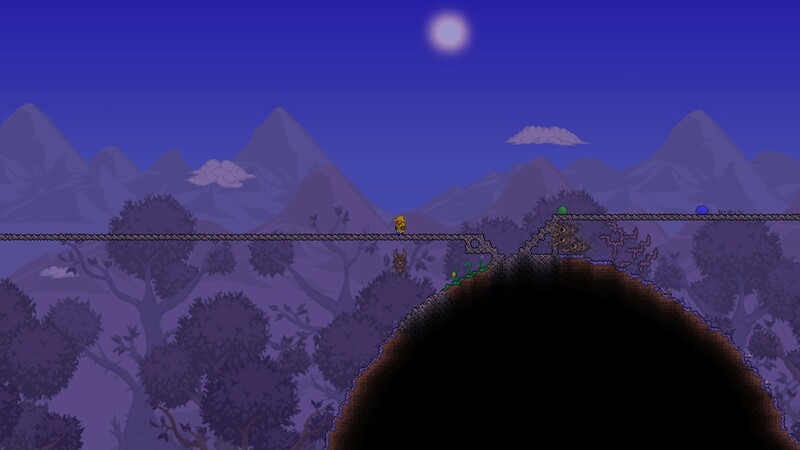 I recently bought Terraria on Steam when it was on offer. It’s best described as a 2D Minecraft alike where you have to survive on a hostile world. I’m still very much learning how to play it and have got as far as creating a small house for me and my adviser. We can now survive the night without be killed by zombies or flying eye things. I’ll post more updates as I learn more and expand my home!